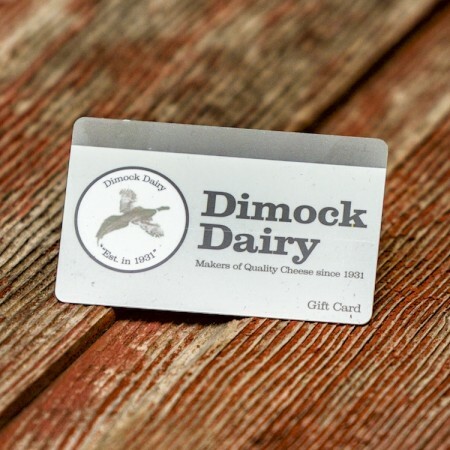 Dimock Gift Cards are available in different increments. Choose amount below. Give the gift of Cheese with a Dimock Gift Card.